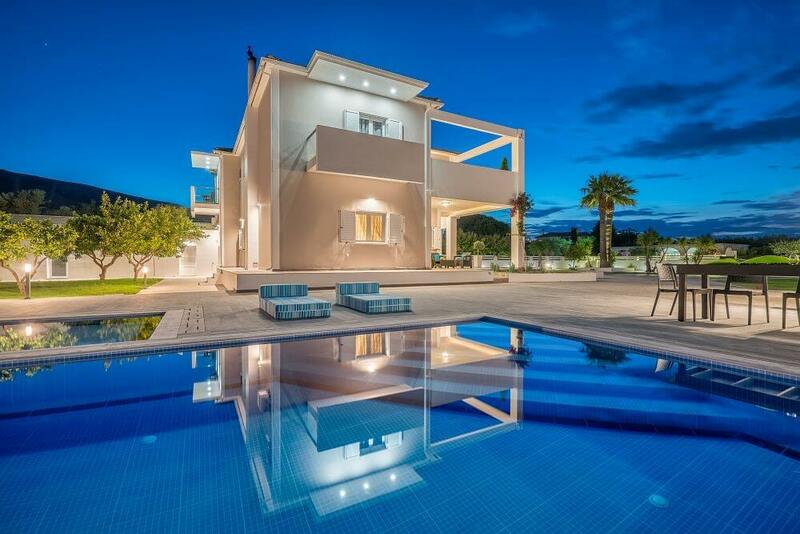 A modern, spacious and all in all, gorgeous villa. 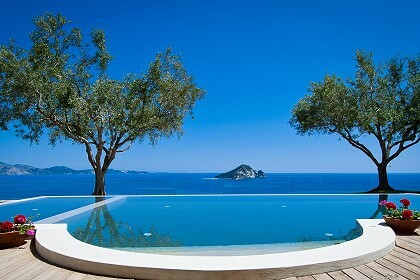 Ostria villa, just like the warm summer wind it takes its name from will get you in a holiday mood from the first look. 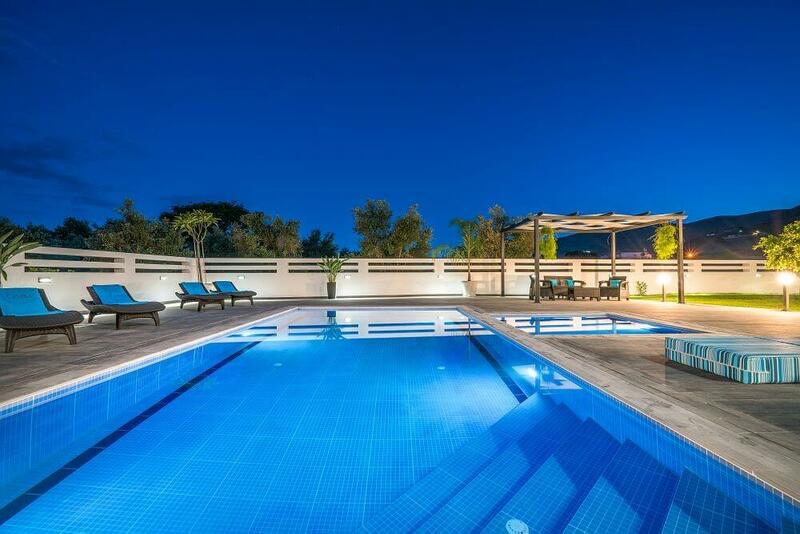 Comfortable and elegant living areas, privacy, amazing outdoor grounds, BBQ with outdoor dining area, swimming pool and children's swimming pool are just a few of the luxuries on offer. Families with children as well as groups of friends will enjoy their dream vacation at the Ostria Villa. 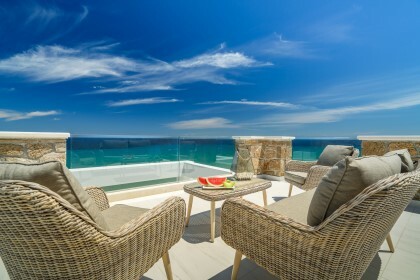 The villa is spread across two floors and can accommodate up to 10+2 people. As you enter, you will find a beautifully spacious living room and open plan kitchen area with everything you will need to prepare a delicious family meal. Not one but two dining areas can comfortably fit up to 12 people. The ground floor also includes a bedroom with two single beds that can be joined into a double along with a bathroom with shower. A beautiful wooden staircase leads to 4 bedrooms and an open plan area with a sofa that converts to a double bed. This space can also be used as a cozy sitting area. The master bedroom features a large double bed, private furnished balcony and en-suite bathroom with shower and bathtub. The three remaining bedrooms are equipped with two single beds that can be joined into a double bed and include private, furnished balconies. This floor also offers an additional bathroom with bathtub. 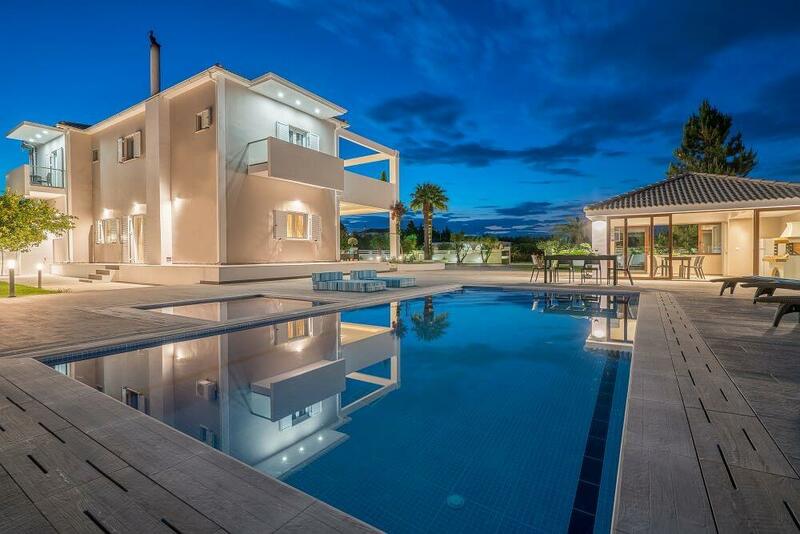 The villa is located right next to the famous Laganas tourist resort, in the village of Pantokratoras. This peaceful area offers plenty of olive trees and natural surroundings that will put your mind in vacation mode. The scenic fishermen's village of Keri is 9 kilometers away if you are in the mood for some fresh fish by the sea. If you are ready for a fun night out, why not visit one of the many bras and nightclubs on the main strip in Laganas? 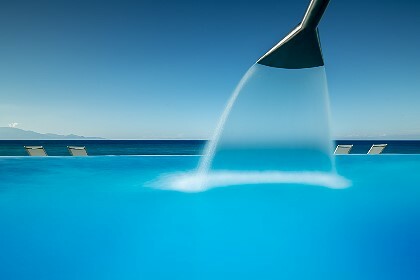 Whatever you decide to do, the Ostria Villa is close to some of the best areas on the island of Zakynthos.